by Danilo Gusmão de Quadros* and Joanne Ivancic** (Advanced Biofuels USA) After Dan Quadros’ oft-repeated criticism about biofuels education and the big gap between research and the job market, he was pleased to experience the best example of how to bring them closer together, demonstrated by the Sustainable Energy Fund organizing, at Pennsylvania State University (PSU), for one week, a group of activities involving people from different education levels. Here’s his report. Energycamp, Renewable Energy and Sustainability Systems Graduate Program (RESS) symposium, Energypath conference and expo. Together they pleased all the attendees with high levels of information in a variety of areas of renewable energy and biofuels, putting together theory and practice. 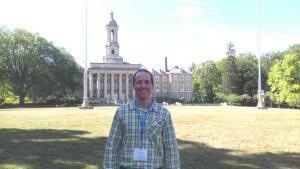 The events took place from 25 to 29 of July in University Park, PA. There was a remarkable number of undergraduate students from many majors, who had contact with this multidisciplinary area. The activities lighted the desire to contribute to a world more rational, equal and sustainable. Graduate students, professors, people from private companies and general public comprised the attendees, exchanging experiences and developing a future network. Energycampers build a solar array and test it by making popcorn. In the Energycamp, the attendees could have theory and practical classes. People were divided in groups depending on their main interest. INTRO TO SUSTAINABLE ENERGY: It covered basic energy concepts and terminology, energy usage in the US, components of electricity delivery (generation, transmission, distribution) and power grid, conventional and renewable energy sources, energy efficiency and LEED, and lastly tax credits and rebates for renewable energy systems. Energycampers quality- testing home-made biodiesel. MICRO HYDRO: It provided participants with the fundamentals of design and installation of grid-interactive residential and farm scale micro hydro electricity systems (up to 10kW). The course covered permitting, site assessment (at a nearby stream), civil components, electrical components, and system economics. 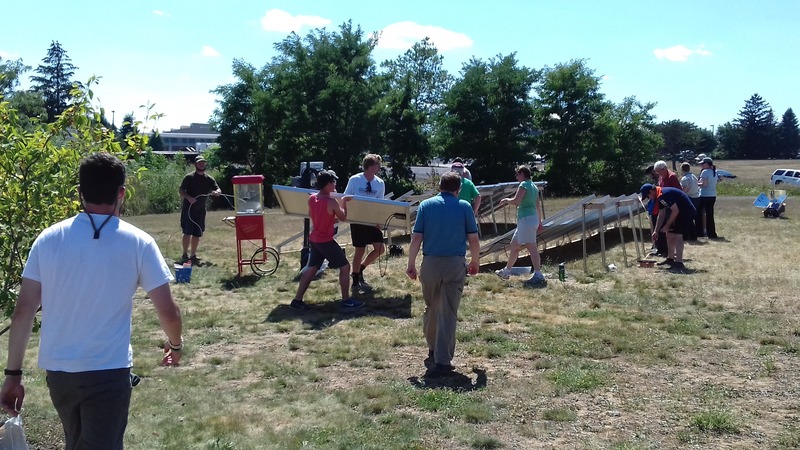 WIND: Attendees learned basic and advanced concepts and installed a turbine on campus. SOLAR PV: The class constructed a 3kW array that could be tied to the grid during Energypath. Topics covered: solar radiation, site assessment, PV system components, web monitoring, policy, economic analysis, siting and shading analysis, calculations for DC voltage, overcurrent sizing, inverter and wire sizing, and NEC requirements for grid tie installations. To demonstrate, the group made popcorn with the electricity generated from the array. BIOMASS: The activities included biodiesel production test batches and fuel quality testing and building a small gasifier. ENERGY STORAGE/FUEL CELLS: This 3-day camp provided participants with an understanding of Fuel Cell Technology and Energy Storage Systems as well as how they integrate together to make sustainable systems. Energycampers making stoves to demonstrate pyrolysis. Topics included PEM, PAFC, SOFC, MCFC, and Microbial Fuel Cells as well as the sources for the fuel that is required for each of the fuel cell types and the sustainability aspects from acquiring the resources. Energy Storage topics included batteries, flywheels, reservoirs, as well as hydrogen energy storage techniques that can coupled with various renewable energy technologies. Micro-grid energy distribution systems consisting of fuel cells and energy storage devices also was covered as part of the overall applications of these technologies. Woody biomass feedstock at the Penn State crop library. PASSIVE HOUSE: Passive building comprises a set of design principles used to attain a quantifiable and rigorous level of energy efficiency within a specific quantifiable comfort level. “Maximize your gains, minimize your losses” summarize the approach. 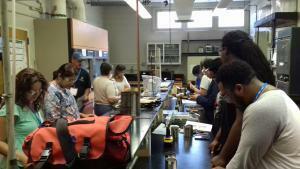 In the biomass classes, we had an overview about bioenergy and biofuels production, conversion and markets. 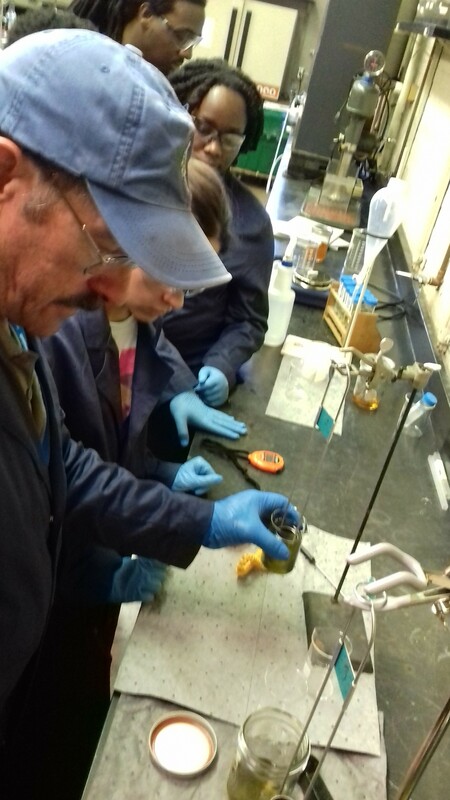 In the lab, we could make our own biodiesel from different feedstocks and run many analyses to test the quality standards. It was the first time for many of us. In the thermochemical pathway, we built camp stoves to make biomass pyrolysis. Such a great and unforgettable experience! To learn more about biomass camp, listen to Dr. Ben Ballard’s and Katherine Armstrong’s interviews below to hear our teachers’ and colleges’ points of view. 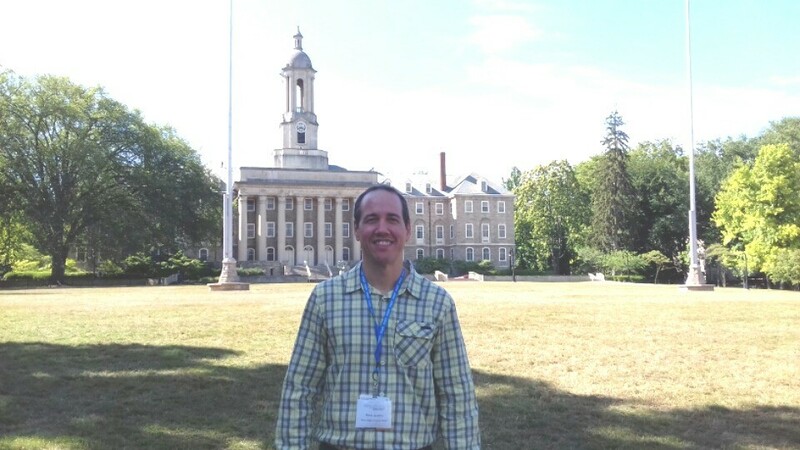 In the RESS Symposium, Penn State University professors updated their research with highlights in solar, wind and biomass. After that, we had a memorable technical trip in this historical and magnificent campus, where science and outreach projects are side by side. 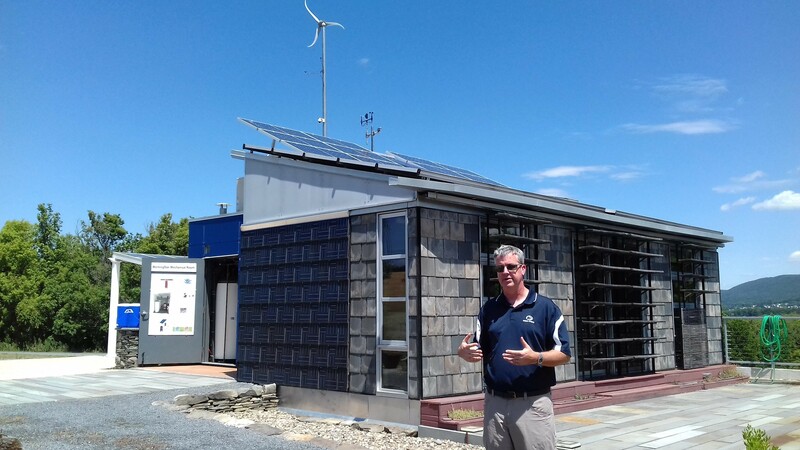 We went to the sustainable house (Morning Star Project), projected to become more and more energy self-sufficient and efficient, involving building techniques, innovative materials, solar arrays and control panels. In the garage were parked a car and a motorcycle ready to receive renewable charges, different from what is expected today in the market of electric cars which use grid electricity, most coming from fossil fuels sources. A wind turbine, installed outside of Morning Star House, was used to evaluate the potential of this clean energy production in Pennsylvania as well as to develop new technologies through applied research. In the compost area, all waste food from Penn State’s cafeteria is carefully separated by a well succeeded selective recycling bins program. The amount of food waste daily reaches 15 tonnes and is transformed into soil amendment, used for the garden on the campus. Finally, we visited bioenergy plots, where different feedstocks are grown to test adaptability and to be demonstrated. 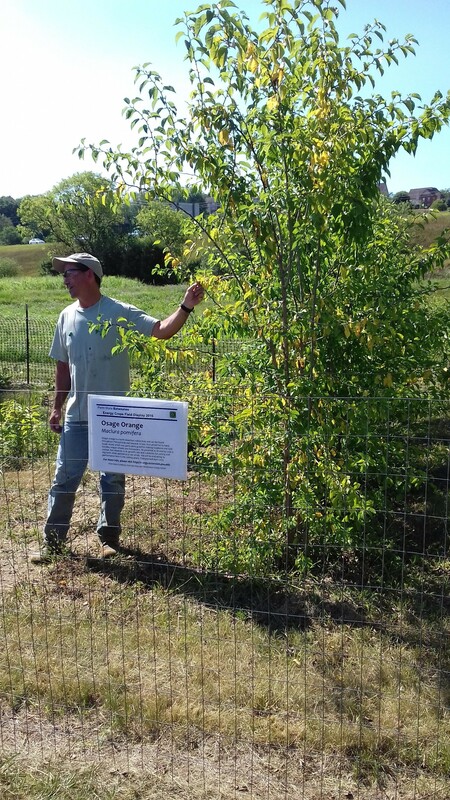 Short Rotation Wood Crops (SRWC), like hybrid poplar and willow, had the focus of the explanations. At the end of the fruitful day, three selected works made by RESS students were presented and battled for a prize. In the last two days, the Energypath conference took place, gathering specialists from academia, industry and consultants to discuss with attendees the new trends and technologies of renewables. 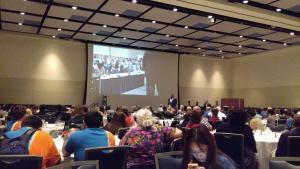 The presentations were very good, with experienced presenters. I interviewed Dr. Sarah Davis to explore more of her amazing work in cellulosic feedstock production and utilization. Listen to this exclusive interview below. A small expo was mounted with booths including some companies, universities and organizations. Advanced Biofuels USA demonstrated its free virtual applied knowledge platform attracting the attention of many people, including undergraduate students interested in using the website information to improve in their careers. In addition, the audience participated in judging the semifinalists of a contest of bioenergy innovative ideas in two levels –community projects involving universities and non-governmental organizations; and private companies. They called it the Energy Sprout Competition (http://www.wppsef.org/). 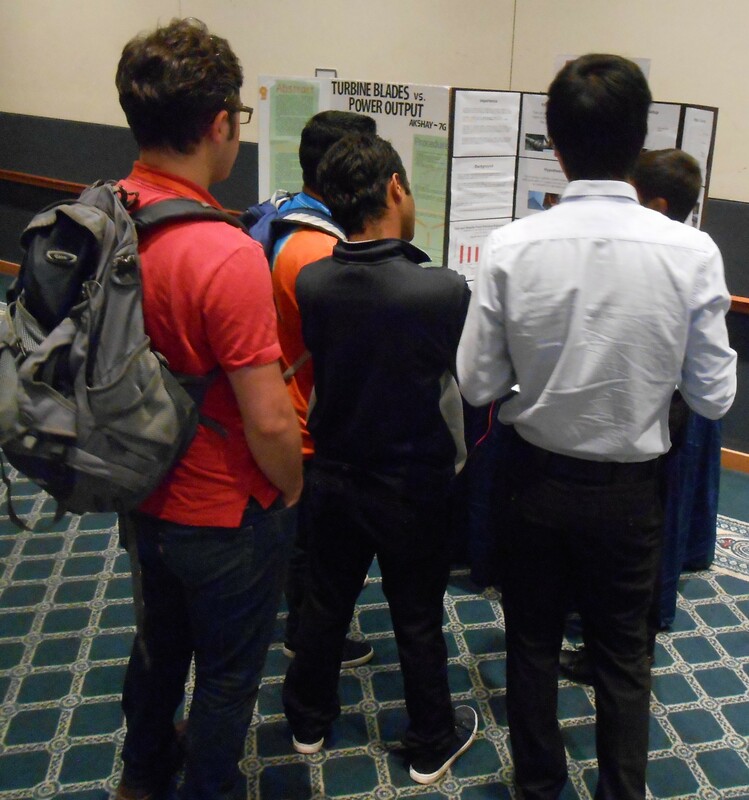 Energypath also included a science fair for middle and high school students. 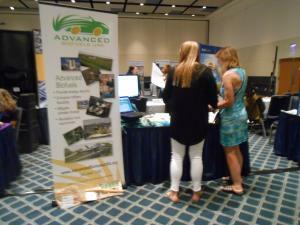 Joanne Ivancic again enjoyed talking with the students who set up their displays as part of the expo. This is a highlight of the event for her. 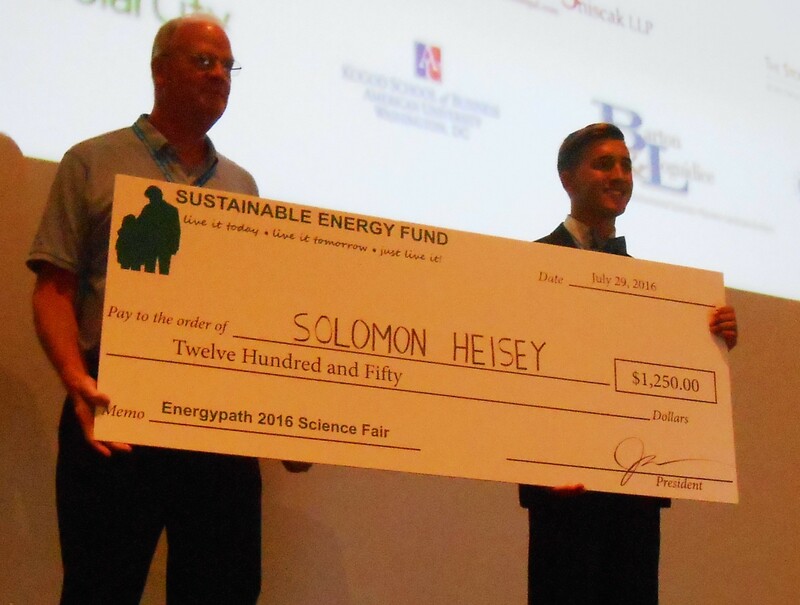 You might be amazed at the wise insights expressed by students presenting at the EnergyPath 2016 Science Fair. They also shared stories about their experiences that would sound familiar to researchers around the world and throughout time. 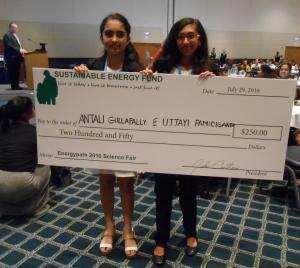 Ujjay Pamidigantam and her partner, Anjali Gullapally from Thomas Edison Energysmart Charter School won third place. 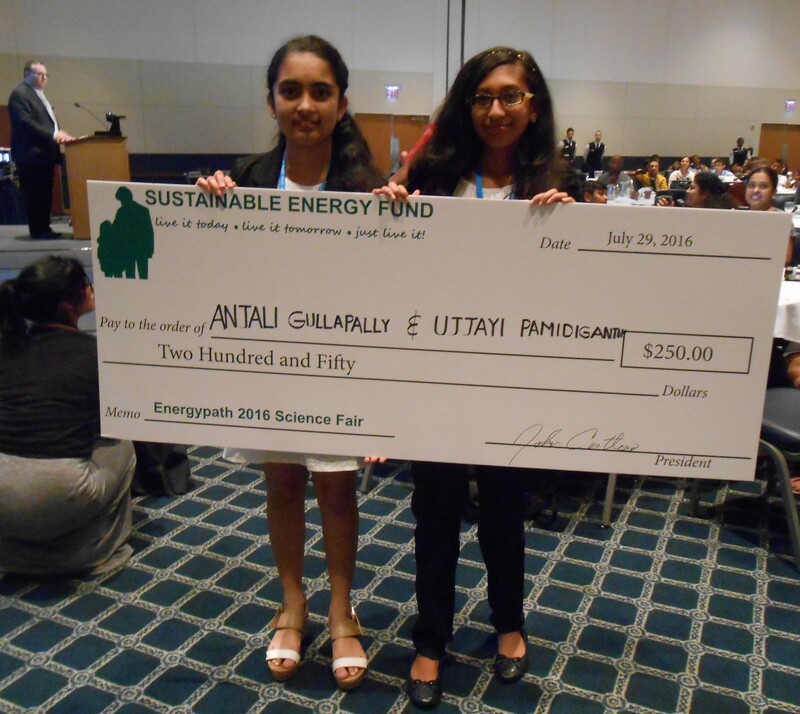 Middle schooler, Ujjay Pamidigantam and her partner, Anjali Gullapally from Thomas Edison Energysmart Charter School worked on a biogas project. Not only focused on US examples, they had information from around the world on their display. Pamidigantam made an observation that escapes many non-biologists, “You have to treat bacteria like pets. You have to keep them happy.” Anyone working with anaerobic digesters or with any fermentation process understands the importance of that concept. The successes and results described on the posters were not nearly as interesting as the stories about the paths taken, the detours and disappointments and re-thinking that took place along the way. The greatest learning was in transforming seeming set-backs into innovation and discovery. 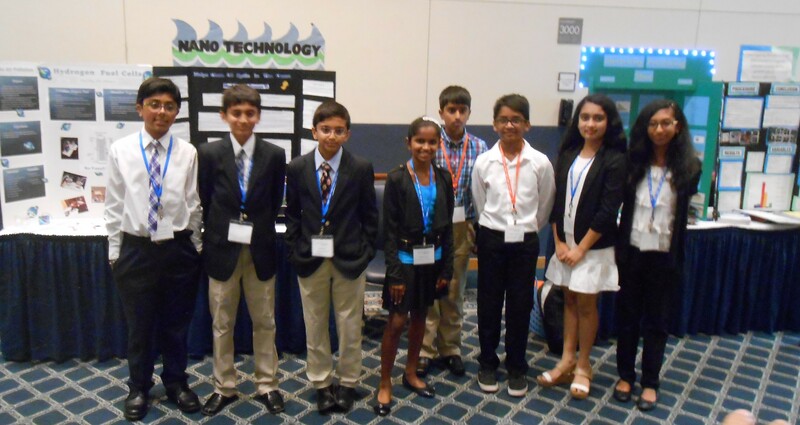 Also from Thomas Edison Energysmart Charter School, partners Neel Guda and Saurav Vidyadhara worked on a solar and nanotechnology technique to clean oil spills. They were able to put their idea into practice, but ran into a practical problem. Although the technology worked fine at cleaning the top surface of the oil spilled on water, it did not attract the lower layers. What to do? They found propellers from another boat model and reconfigured the experiment to add a function to churn the water. Thus, with the top layer ever changing, they were able to clean more of the spilled oil. Not a part of the original design; and not the main technology they were trying to demonstrate; but essential to the practical success of their technology. Michelle Surine of Owen J. Roberts Middle School had a variation on the theme of “the dog ate my homework.” Her presentation, “Green Energy: Can Wolffia (Watermeal) Be Used As a Viable Biomass Fuel Source” required her to make briquettes from a variety of feedstock, then test and compare their thermal properties. Called “duckweed” in other parts of the country, these tiny plants floating on ponds are often mistaken for algae. Surine gathered watermeal from a local pond, dried it (all her family agreed it smelled terrible while drying) and formed it into briquettes for the experiment. Results indicated significant energy in this feedstock. Since the Energypath science fair was at a later time, she put the briquettes into storage. The ants ate them. So the family had to suffer through another round of drying and pressing. Surine then stored them in what seemed a safer area away from ants. They got moldy. Another round of harvesting, drying, pressing. This time she demonstrated the project to family friends. When she returned from seeing them to their car, no briquettes could be found, but the dog had specks of the remains by his mouth. The lesson? There must be some tasty elements to watermeal. That energy she measured could be coming from some desirable sugars. We talked about commercializing this feedstock by making dog biscuits to sell at the local farmer’s market. Maybe next year she will try converting those in the cellulose with enzymes and fermenting all the sugars to demonstrate how this can be used as liquid fuel, too. And, as so often happens in the “real world,” she can finance her research with production and sale of a related food product (and learn all kinds of regulatory lessons along the way). It might be worth a try. Prizes are significant, worth working for. 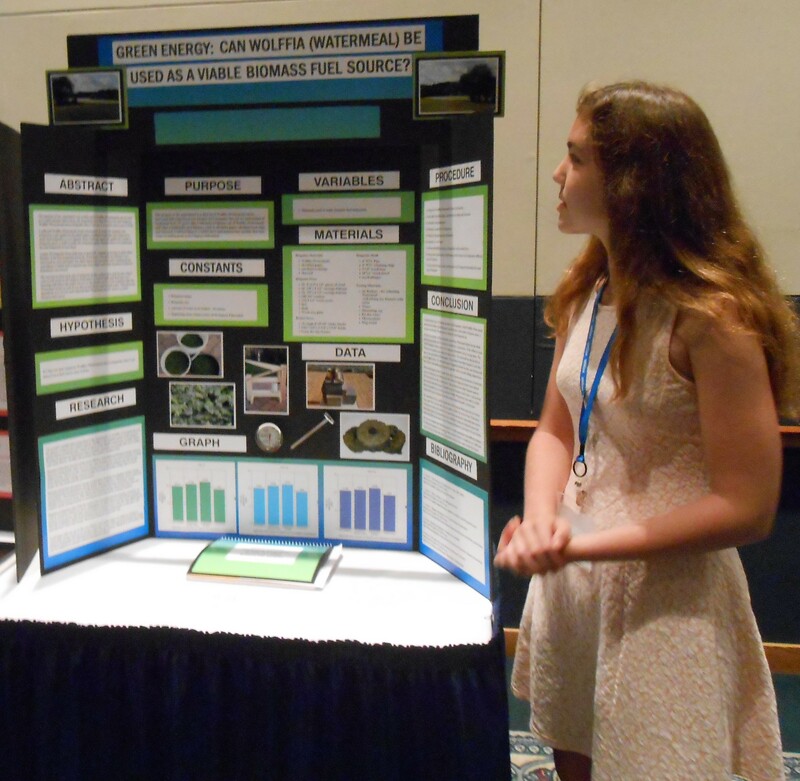 2nd ($750) Michelle Surine 8th Grade, Owen J. Roberts Middle School, Pottstown, PA — Green Energy: Can Wolffia (Watermeal) be Used as a Viable Biomass Fuel Source. 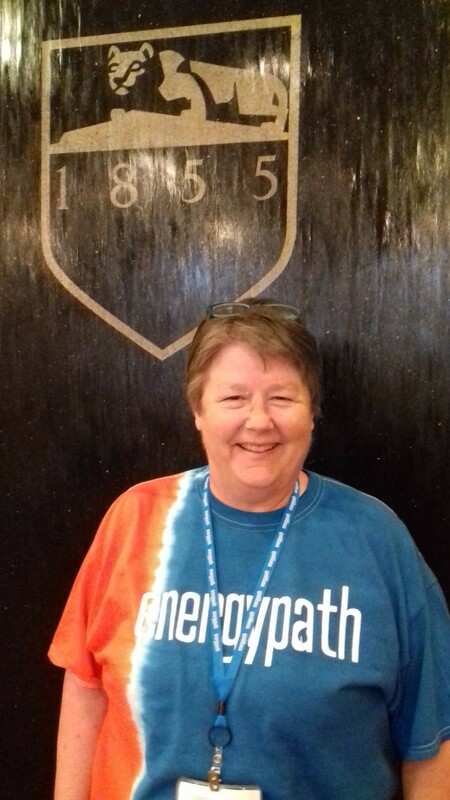 Held each year at a Pennsylania college or university, Energypath is funded by sponsors and proceeds from a settlement approved by the Pennsylvania Public Utility Commission during the Commonwealth’s electric deregulation proceedings in 1999. Gusmao and Ivancic both agree that initiatives like Energypath should be repeated nationwide, if not state-by-state, then on a regional basis. Gusmao sees this as a way to spread renewables culture and to form a new generation of “soldiers of wellness” in academia, schools and industries looking to making a better world to live in. 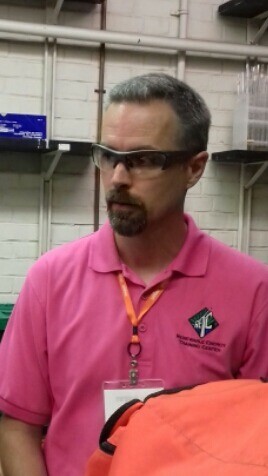 Dr. Ben Ballard was our teacher in the biomass Energycamp. Dr. Ballard is from Renewable Energy Training Center at Morrisville State College, NY. He talked about Energycamp and biofuels. 1: How do you evaluate the importance of Energycamp for the participants? 2 – Education in biofuels is a really important piece to improve its use. What do you think about Energycamp impact for the participants’ carriers? Katherine Armstrong – Biomass Energycamp participant. She is a 7th grade teacher. She talks about her experience in Energycamp and its impact in her classes. 1 – How Energypath can impact in your professional activity as a teacher? 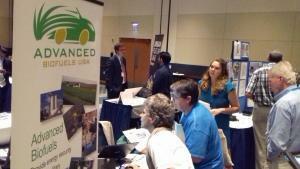 2 – In your opinion, what will be the future of biofuels in the US? Learn more about the benefits of biofuels crops for lignocellulosic biofuels and bioenergy feedstocks listen to Dr. Sarah Davis’s interview. She also, talked about her innovative project to transform wastes into biofuels and organic fertilizer through anaerobic digestors. Dr. Davis, from Ohio University, is an ecosystem ecologist with expertise in energy bioscience, biogeochemistry and eco-physiology. 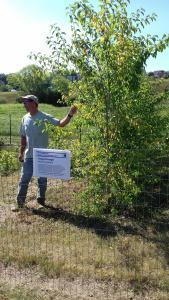 She quantifies ecosystem-level carbon sequestration and greenhouse gas fluxes in managed landscapes using experimental and modeling approaches. 1 – What is the impact of substituting traditional crops for biofuel crops? For example, replacing corn in the Midwest for switchgrass or miscanthus for ethanol. 2 – You told about environmental perspective. How about economic perspective? 3 – Are you saying we actually have markets for these grasses in the bioenergy energy industry? 4 – You present a very interesting project to transform food and agricultural wastes into biogas. Could you describe the system for us, please? * Contributing author, Dr. Dan Quadros is a writer and analyst for Advanced Biofuels USA and Professor at Bahia State University, Brazil. 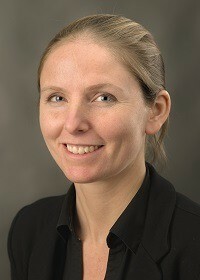 **Joanne Ivancic, serves as Executive Director of Advanced Biofuels USA.